To have an idea of what Saint Joseph—the Patron of the Church—was like, we must consider two prodigious facts: he was the foster father of the Child Jesus and he was the spouse of Our Lady. The husband must be proportional to the wife. Now who is Our Lady? She is by far the most perfect of all creatures, the masterpiece of the Most High. In her is the sum total of all the virtues of the angels, of all the saints, and of all men until the end of time. Even when we consider her in this light, we still have only a shallow idea of the sublime perfection of the Mother of God. But a man was chosen from among all men to be in proportion to this eminent creature. He was proportional, naturally, in his love of God, in his wisdom, in his purity, in his justice, in all the virtues. This man was Saint Joseph. 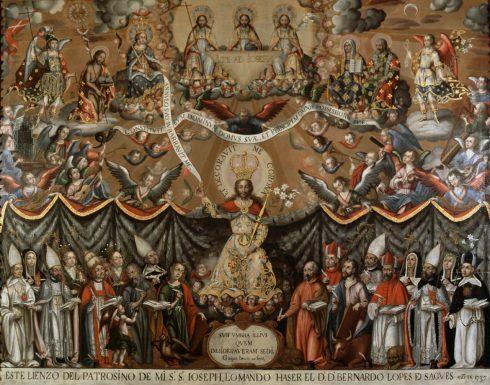 Patronage of Saint Joseph, c. 1737, Painted by Gaspar Miguel de Berrío, at the Museo Nacional de Bellas Artes, Chile. There is still something more unfathomable: the father must be proportional to the son. A man who would bear with dignity the honor of being the foster father of God was needed. There was only one man, created especially for this role, with a soul adorned with all the virtues entirely at the height necessary for such a sublime mission. This man was Saint Joseph. He was in proportion to Jesus Christ; he was proportional to His sublime Mother. What grandeur there is in this! We cannot imagine how far he transcended the rest of men. The human vocabulary does not have the words to adequately express the depth of his penetration into the most holy soul of Our Lady and the degree of intimacy with the Word Incarnate. It is customary to represent Saint Anthony of Padua holding a book upon which the Child Jesus is seated. 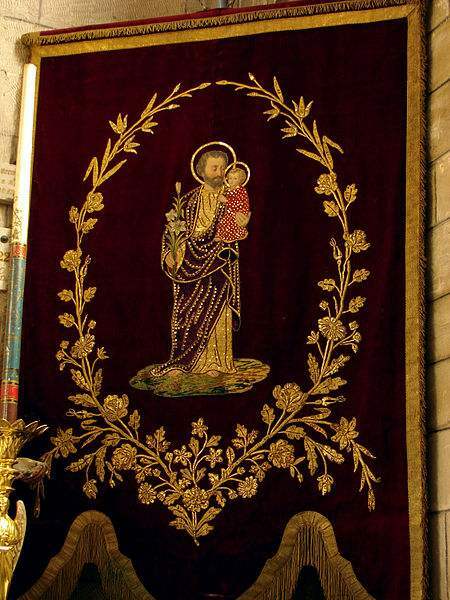 The saint is enchanted because the Child Jesus has rested for a few moments in his arms. We look admiringly at Saint Anthony because he was blessed to have been singled out for this indescribable honor! Yet how many times more did Saint Joseph hold the Child Jesus in his arms? It was Saint Joseph who had sufficiently pure lips and a sufficiently grand humility to undertake the formidable task of responding to God! Let us imagine the scene: the Child Jesus comes to him and says, “I would like your advice. How should I do this?” And the Patron of the Universal Church, a mere creature, knowing it is God asking the question, gives the advice! If you can imagine a man who had sufficient wisdom and purity to rule over God and the Virgin Mary, then you will be able to comprehend the sublime virtue of Saint Joseph. We are speaking of the grandeur of Saint Joseph. Now, how did the men of his time react in face of this grandeur? The Scriptures say: “And she [Mary] brought forth her firstborn son, and wrapped him up in swaddling clothes, and laid him in a manger; because there was no room for them in the inn” (Luke 2:7). Let us imagine the scene: the Child Jesus comes to him and says, “I would like your advice. How should I do this?” And the Patron of the Universal Church, a mere creature, knowing it is God asking the question, gives the advice! The words “there was no room for them in the inn” encompass a bitter truth: it is especially difficult for men to accept that which is grand—a fortiori, that which is divine—because of their petty selfishness. We often think that men take pleasure in dealing with things that are important, high, sublime. 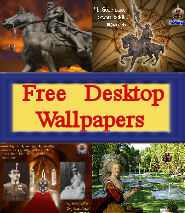 Some men do enjoy such things, but only superficially and selfishly. 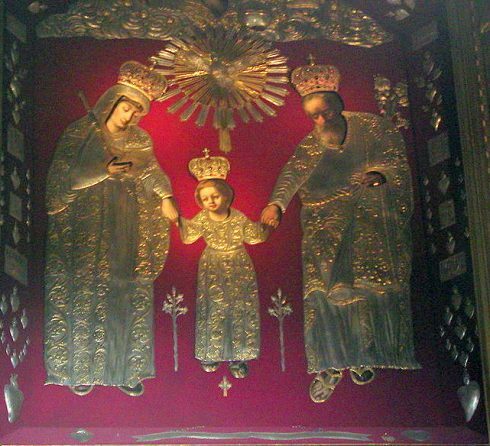 Miraculous image at the Shrine of St. Joseph in Kalisz, Poland. For men are not greatly attracted to grandeur; they are attracted to mediocrity, especially if it includes a mixture of good and evil where the evil predominates. There is a profound tendency in man for the trivial, for the banal, for that which is contrary to the grandiose, to the sublime. So we can understand why men were not willing to make room for the Holy Family. There was no room, particularly because Our Lady would have conserved, together with a demeanor of sublime kindness, an air of great majesty. 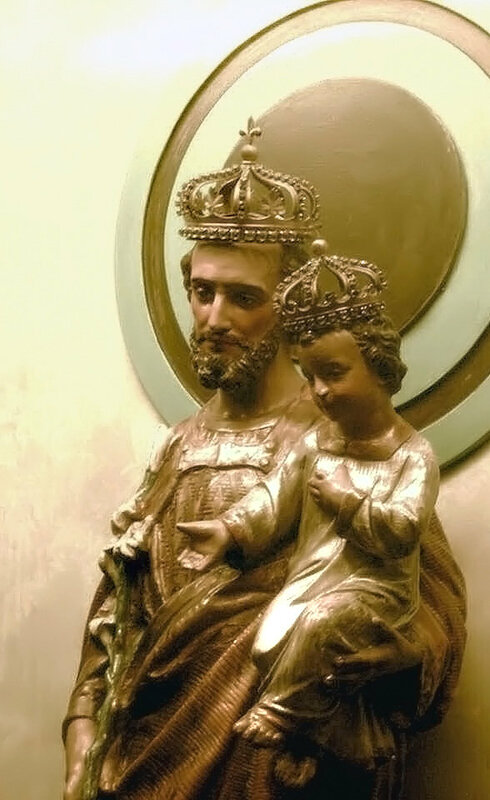 Crowned St. Joseph and the Child Jesus at St. Joseph Oratory of Mount Royal, Montreal, Canada. 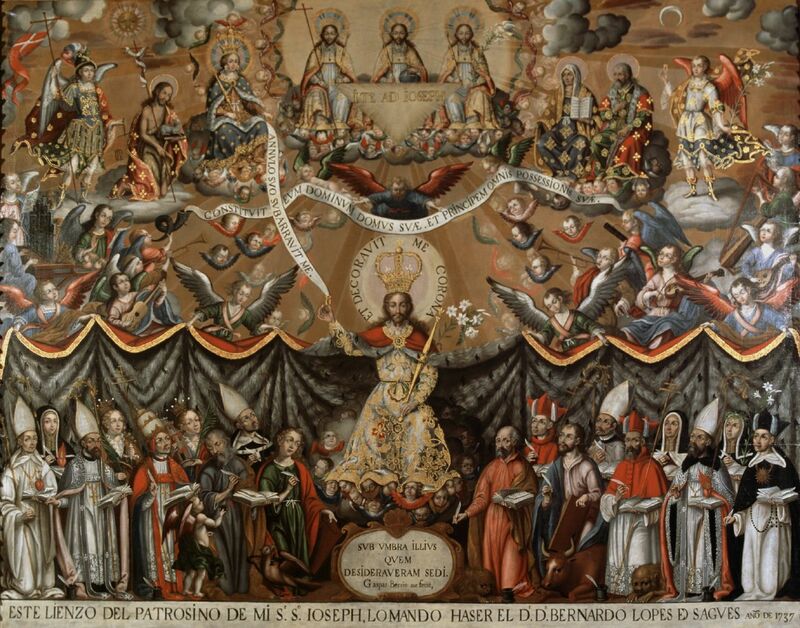 As Saint Joseph would have maintained a similar aspect, they were obviously an eminently distinctive but poor couple. This was the most profound reason for the refusal. 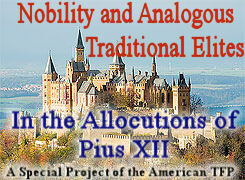 Distinction is accepted when it is accompanied by wealth, for the latter pardons the former. And the interest in making money incites flattery, which takes the place of respect. But when someone of great distinction and salient virtue knocks at the door—above all, if he is poor—then there is no room. It would take only five minutes to arrange accommodations for a mediocre friend or for a moneybags who possessed nothing but wealth…yet accommodations that could easily have been arranged were refused to the Holy Family! But suppose they had known that Our Lady was about to give birth to the Child Jesus? 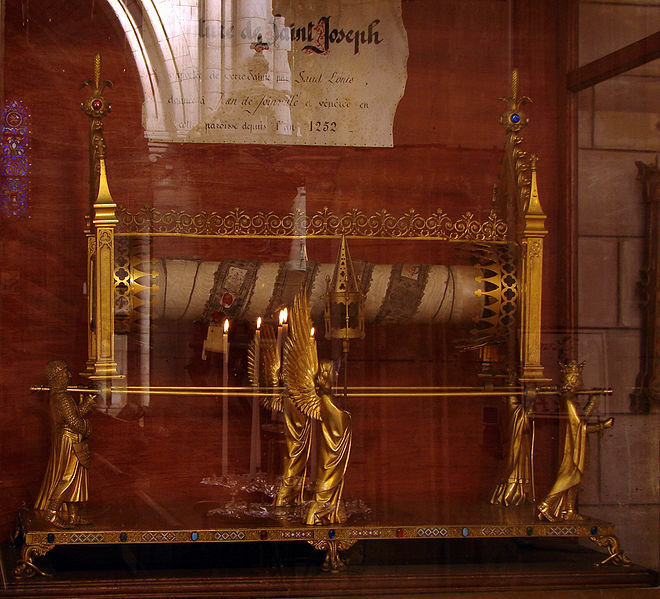 Reliquary of the “belt of Saint Joseph.” In the year 1254, Sire de Joinveille, one of the Crusaders, brought St. Joseph’s “girdle” from the East to France, where he erected a chapel to St. Joseph to house the treasure and was buried there in 1319. This chapel was much visited by French pilgrims, among them King Louis XIV and Cardinal Richelieu. This Reliquary is in the Église Notre-Dame Joinville, Haute-Marne. 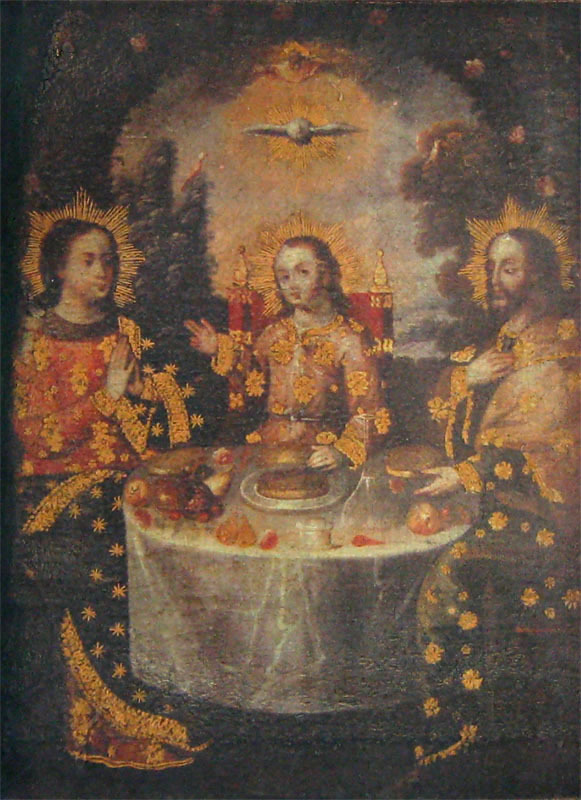 The Child Jesus resembled Our Lady. She was the prefigure of the Redeemer. Saint Joseph also looked like Him. 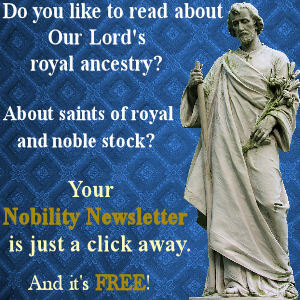 Those people did not want Our Lady, nor Saint Joseph, nor the Child Jesus. 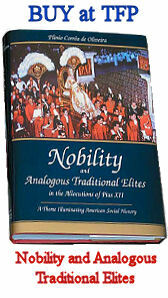 They hungered for baseness, vulgarity and wealth. The result: this is the first refusal of the Hebrew people. This is the first time Our Lord, already on earth, knocks at the doors of men through the voice of Saint Joseph and is refused. 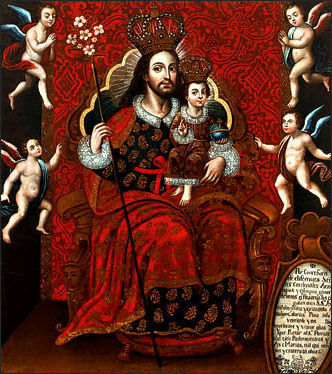 Saint Joseph—prince of the House of David, prince of a royal family that, although dethroned and decadent, was at its apogee because from it was born the Hope of the Nations—knocks at the door and is rejected! But in this rejection is his first glory. He represented something that the vulgar and prosaic spirit of the Jews detested. He took the first step of his martyrdom: he led Our Lady to a cave suitable only for animals, where the Child Jesus was born. To this glory—which was certainly a negative one—were added many others: the glory of being considered a person of no consequence although all public honors were due him; the glory of taking upon himself all the humiliation, all the ignominy and all the weight of the opprobrium that was to fall upon Our Lord. From the very beginning, he had the special bliss of being refused for his love of justice and his grandeur of soul. 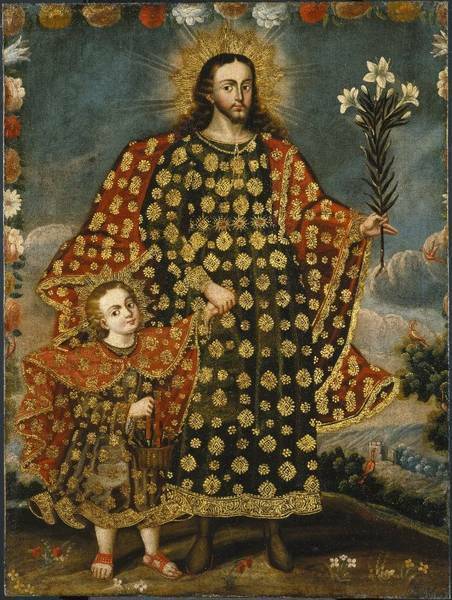 This is a forgotten, though salient aspect of the moral physiognomy of the Patron of the Church, whose virtue, especially rejected by modern man, induces us to say: Saint Joseph, Martyr of Grandeur, pray for us! 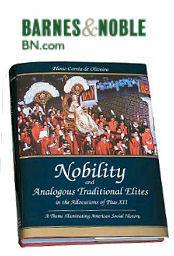 Taken from a lecture given by Prof. Plinio Corrêa de Oliveira for young TFP members. The author was not able to review it prior to his death. Originally published in TFP Newsletter (1986), vol. IV, no. 17, p. 6.